When I say ‘being in community’ it may make you feel overwhelmed, encouraged, or jaded. I think I have felt all these things at some point too. Once I graded university I lived in a handful of small towns. I suddenly found myself in situations where I was the outsider dropping in on a series of well-established cliques. I had to learn ways to make adult friends, which is hard if they aren’t at your workplace or school. In one town that we lived in I attended a few churches. Other than a Pastor and an invite to a Senior’s craft club – nobody ever approached me to welcome me or get to know me. It amplified the feeling that I was an outsider and I ended up with very little loyalty to the community. It also gave me a heart for those who step out of their comfort zone and let themselves be new. As the years went on I would learn the value of finding ways to be social and saying ‘yes’ to each and every invite. Eventually, I would also learn that I had to be the one extending the invite, the one volunteering for the events, the one organizing the events. 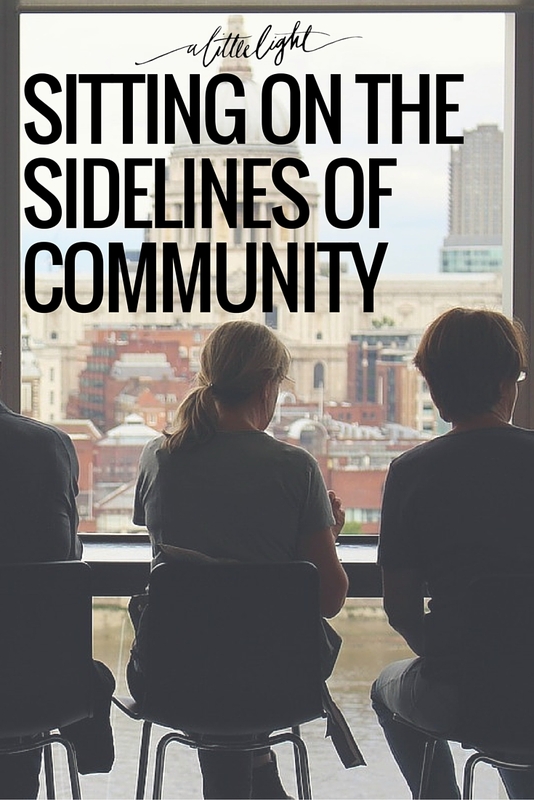 I had to move from a spectator of community to being a part of it. I would learn that it sometimes is hard because it means putting myself out there when I’d rather stay home investing in myself – which has it’s time and place – but it can’t be my only time and place. As my heart and life has slowly turned outward I think of something my momfriend said that puts it into perspective: ‘it is doing life together’. 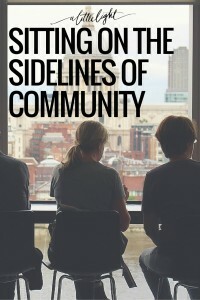 When we think about the ‘communities’ we are a part of we might think of our group of closest friends or our church. Yet, community is anywhere we can find others, grow with others and serve others. 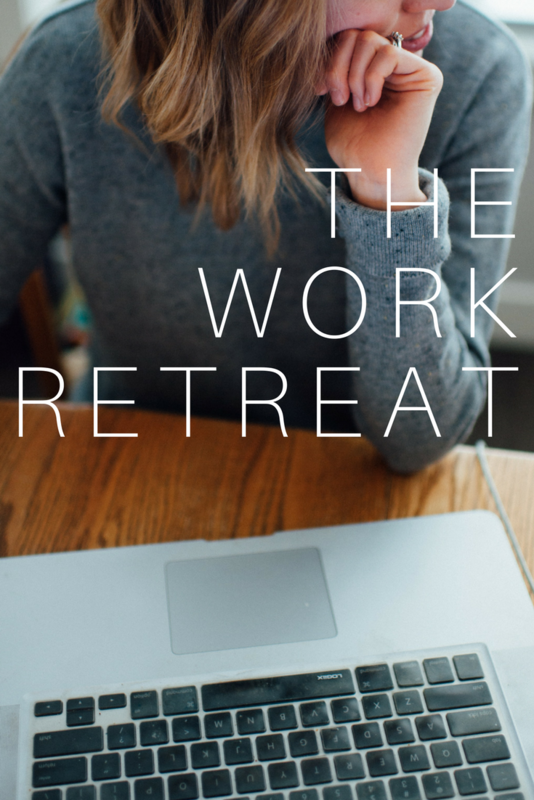 It can be an online group, the workplace, the church, a group of old friends all spread out over the world. Community is wherever we can have a relationship with another person. With the combination of online living and offline living I feel like we are building up a variety of communities around us, but not engaging in them. We are getting a little dose of security that the community is there but we are holding back. Maybe because we feel like it would use up all our resources (time, money, possessions). Maybe because we are scared to be vulnerable with someone else. Maybe we struggle with entitlement. Maybe because we don’t realize all we have to offer. Whatever the reason, we need to give that issue to God, trust Him with it, and let community challenge and change us. After all, could you imagine if Jesus put his head down and spent his days busy with errands and focussing on a few close friends he felt safe with? Think of the communities you have where you find yourself being a benchwarmer, idle but reaping the rewards of the team. Ask God to give you a bolder heart ready to serve, reach out and engage. What are little ways you can step up and share what you have? You can encourage a fellow mom, participate in an online conversation, offer your mentorship or advice to someone, help out at the church, invite the newcomer to bookclub. We can get in the game by showing up, offering practical help, encouraging, and praying – simply walking alongside one another. Take small steps with the knowledge that exertion is inevitable. We are blessed with resources, talents and relationships and God calls us to put them into use. Your heart might get a little more humbled and worn, your time might be exhausted, sometimes it will be tough – but what is used up for the glory of God is restored and refilled to overflowing amounts by God. A Little Light is a community of Canadian Christian women seeking ways to glorify God with all they do offline and online. Find out more about joining us here.